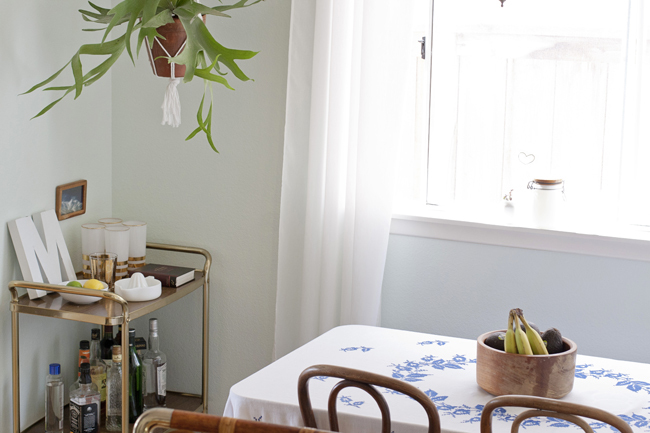 With my surging interests in whicker, vintage inspired florals and (according to my sister) all things granny, I guess it's pretty predictable that I would feel the need for a little macrame in my life. 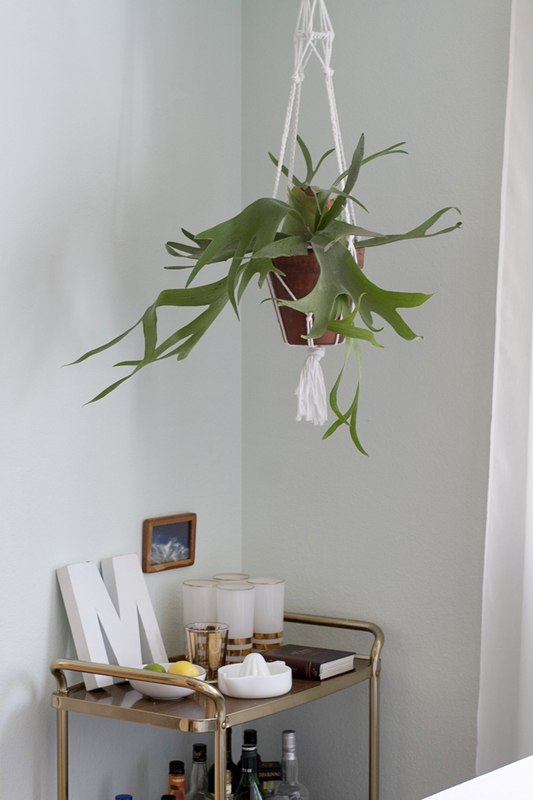 When I hung a beautiful stag horn fern in my dining nook corner, I tried my hand at a very temporary macramae hanger - a stand in while I looked for a vintage macrame hanger from etsy. 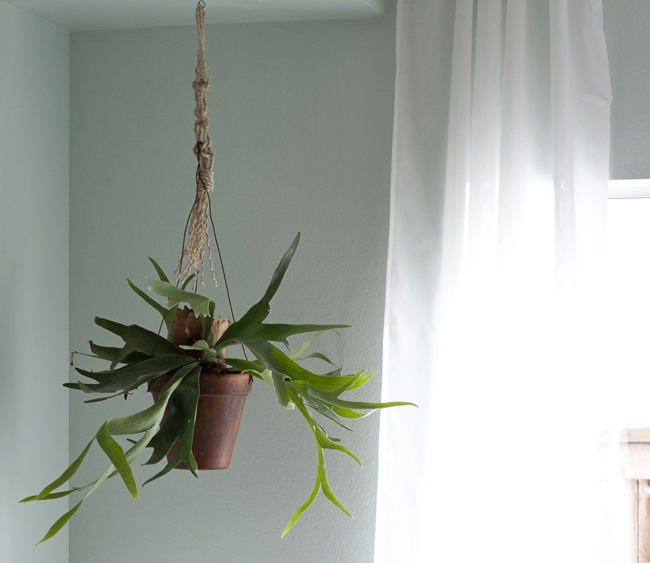 After a couple of weeks of occasionally perusing etsy I still hadn't found the perfect plant hanger for the perfect price. So... I decided to make my own! I didn't use any particular methods or patterns, I just looked at a lot of photos then went for it! I did research a few knots to use. 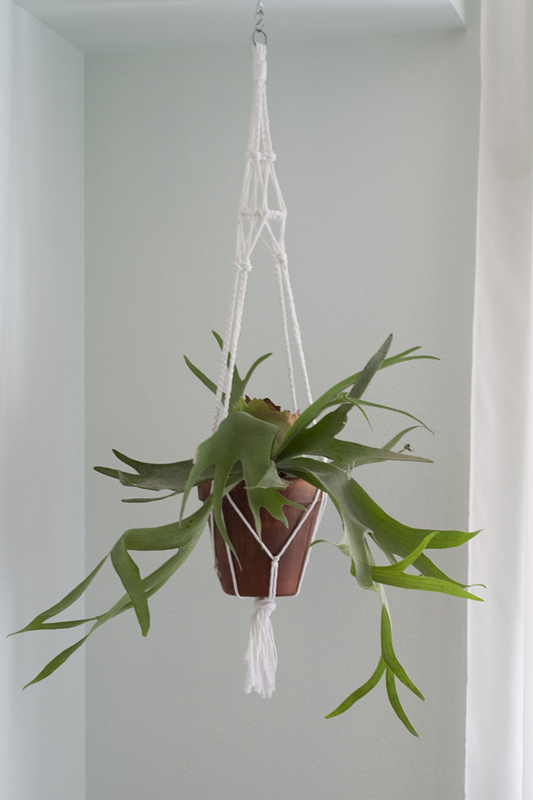 The best resource I found was Free-Macrame-Patterns.com. The site is a little... out of date, but it's a GREAT resource! Here's a link to all of the knots >>> here. 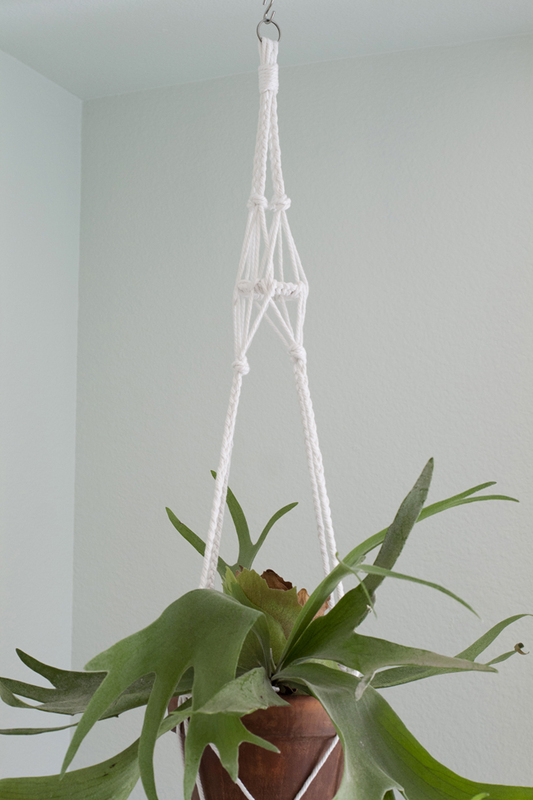 Any macrame experts out there?